IF YOU RECEIVED A PRIOR EMAIL to purchase our Annual Economy Membership and Online Training Manual of $99.99 directing you to this secured down payment page, then it means you need to make your first payment using this item page of $26.50 + $7.50 for a total of $34.00. The remaining two (2) payments due will be on the dates you requested and we approved through private email. Once you get to the payment screen, choose CHECKOUT (for Visa, MasterCard, etc) or choose Paypal (if you already have a paypal account). You will notice in your shopping cart there is a $7.50 Regular Handling or Mail fee that is added to the $26.50 item amount. The Regular Handling or Mail fee will be merged at the final Checkout into the $26.50 item amount to show you are making a full $34.00 down payment on your account. Following the completion of this down payment order, you authorize two (2) additional scheduled payments to your Visa, MasterCard, American Express or Discover card for the amount of $34.00 each until your account is paid in full. 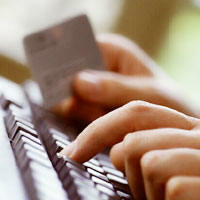 You will be charged your down payment of $34.00 as indicated in the total amount of your shopping cart. The remaining two (2) payments will be charged for each billing period you have previously requested with our approval by earlier email from our office. A receipt will be emailed to you and each charge will appear on your statement from IPIU or from our merchant bank, Paypal.